Since the viral spread of Starbucks in the ‘90s we have become a nation of full-fledged coffee aficionados. Now the ability to grind beans at home for the freshest possible cuppa Joe is no longer a luxury, but a mainstream ritual. While reasonable people can disagree on the superior manner of brew—drip, pour, cold, siphon, French press, express, whatever—no one disputes that a righteous brew starts with a proper grind. And to get that grind, you need the right coffee grinder. The definition of a good coffee grinder is pretty simple: It needs to be able to produce particles of coffee bean at the size you want (which depends on the brew style you prefer) as consistently as possible. The reason being that brewing a nice cup of coffee depends on having the combination of the right water temperature and steeping time, and if your coffee grounds are of different sizes some will give off their oils and flavors at one rate while others won't have time to, and you get coffee that tastes either too strong or weak, too bitter or too flat. 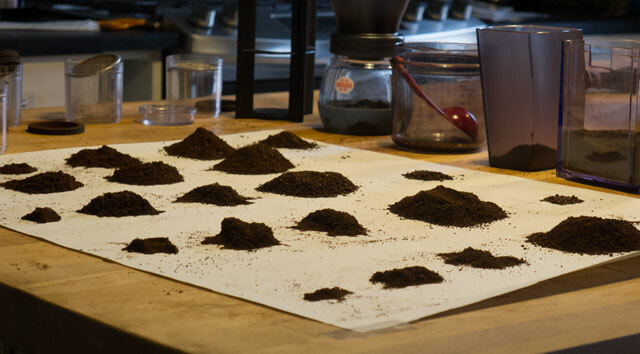 Getting coffee grounds that are consistent in size, it turns out, is a little tricky, which we discovered in our testing to determine which of five models of highly-rated grinders is truly the best. There are several styles of coffee grinder, but top-of-the-line ones all utilize gear-like steel burrs that are extremely hard and sharp, and which actually shave of flakes from your coffee beans rather than crack them to pieces. True burr grinders can run from around $100 to several thousand dollars at the pro level. This is in contrast with low-end grinders that use extremely fast spinning blades that tend to pulverize the beans, which is far less controlled and essentially random—but these grinders are cheap, about $20. Besides having a good and durable mechanism for grinding beans, a quality grinder may be decked out with a number of features that may or may not be attractive based on your preferences and habits. The most important is likely the ability to adjust the grind size to meet your coffee brewing needs—some have just a handful of settings or may not be able to create particles large enough for, say, cold brewing, or fine enough for espresso. Another valuable option may be a storage hopper that’s able to accommodate a few days’ worth of beans at a time (though we should note you always want to use beans that are as freshly roasted as possible, within days to weeks, not months old). Grind volume presets are especially appealing, in that they let you select a number of cups or doses, hit start and then auto shut off, letting you grind a precise amount without having to make a mess measuring or weighing your grind afterwards. Some grinders are made of metal or plastics that are static-resistant which solves an unexpected source of messiness. The ability to clean and maintain or even repair a grinder is also a consideration, especially if it’s prone to getting messy, or you’ve invested a lot money into one. 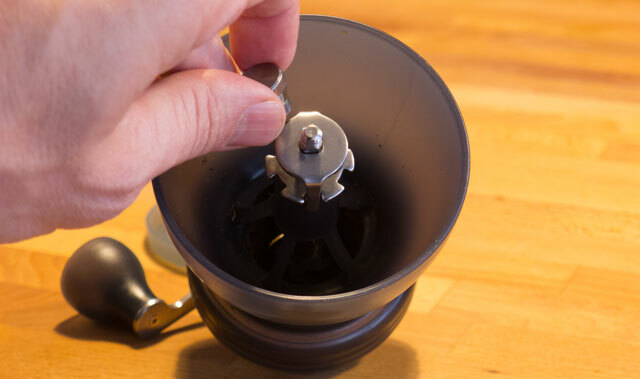 We spent several days grinding through far too many pounds of fragrant, oily coffee beans to test five grinders that had been widely praised by users as well as professional and amateur review publications. We looked in particular for models that had fulfilled as much as the criteria mentioned above while still falling below a $200 price ceiling, though we also opted to try out two outliers: one extremely low-cost model and another mid-priced hand-crank style one. We also declined to test several well-liked models that may be worthy options but that suffered from enough long-term owner complaints to give us concern (for instance, the Cuisinart DMB-8 which seemed to have an inordinately large number of reliability complaints). The models we selected, in order of MSRP: The $20 Krups F203 Electric Spice and Coffee Grinder; the $40 Hario Skerton Ceramic Coffee Mill; the $50 Krups GX5000 Professional Electric Coffee Burr Grinder; the $129 Baratza Encore; and the $180 Breville Smart Grinder Pro (prices listed here were correct as of publication, however many are widely available for lower prices online). While there was a measurable difference between all our test models in terms of grind consistency, as well as convenience features, to pick a winner, we were pleased to find there was something to like about each of them. Our overall winner was the Krups GX500 Professional Electric Coffee Burr Grinder, which we’ve found online for as little as $40. 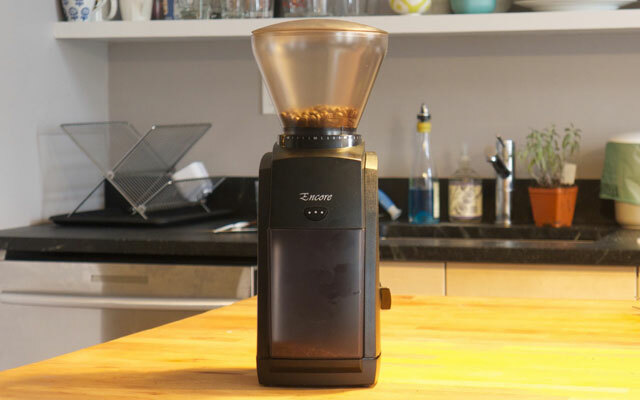 We think it’s the best coffee grinder for a typical consumer who craves a nice cup of coffee but nonetheless isn’t an enthusiast-level coffee devotee willing to pay top dollar for the pleasure. It has a number of attractive features found on top tier models that cost many times the price, including dose control, a good size hopper, and a wide range of grinding options to suit most any type of brewing style. While we’d recommend the GX5000 for a typical coffee drinker, it wasn’t the overall best performer, and it wasn’t our absolute favorite to use. That nod goes to the Breville Smart Grinder Pro, which has a full range of features, grinds coffee wonderfully, is easy to clean and use—but costs about four times as much, or 10 times as much as our lowest priced test unit. A great cup of coffee may seem like a magical gift in the moment, but creating one is less mystical alchemy than buttoned-up chemistry. There are all kinds of science-y jargon and variables—dissolved solids, extraction levels, brew strength, uh, grams!—but the formula for an ideal cup of coffee is remarkably simple: mix the right amount of hot water (at 195-202 degrees) with the right amount of freshly ground beans (a ratio of 17.42 units of water to 1 unit ground coffee) for the right amount of time (depends on the method of brewing). That’s it. Do this and you should be able to create brain-tingling brew over and over at will. Where most of us get this wrong is in the beans we use, or how they’re ground. Roasted coffee beans have a relatively brief shelf life, after which they dry up and taste stale and flat—snobs prefer beans roasted fewer than two weeks old, the rest of us have a couple months if the beans are properly stored in an airtight, dark container (and not in the freezer or fridge, please). Fresh pre-ground coffee doesn’t last more than several days, and the vacuum-sealed stuff that’s been moldering on the shelves since antiquity is a pale imitation of what coffee is capable of (mountain crystals or no, whatever they may be). There are many ways to pulverize a coffee bean but, as we noted above, a burr grinder is the hands-down top-quality choice. The reason being that grinders that use blades similar to a food processor essentially chop and thrash the bean in a frenzied high-speed blur, and so get extremely uneven results—some pieces are huge and random sized, some are typical drip-friendly grinds, some is just dust referred to as “fines” by industry types, which become grit in your coffee or clog up paper filters. 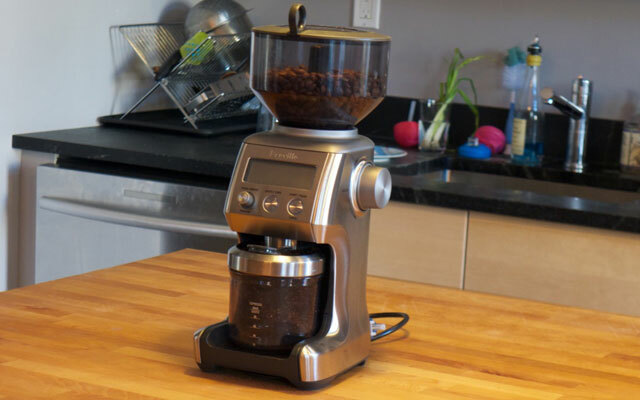 A burr grinder on the other hand is essentially a powerful mechanism that quickly files or shaves beans between two burred surfaces in a very uniform way. There are different types of burr mechanisms, chiefly conical and flat style, and to coffee enthusiasts the quality of the burr is everything in a grinder—how hard it is, how sharp, how long-lasting and whether it is replaceable. (Read coffee blogs and commenters love to talk about the provenance of their burr; Baratza, for instance, sources their high-grade ones from Lichtenstein.) In high-end grinders the burr assembly and a powerful high-torque motor are the most expensive components in the grinder. Admittedly, our pick, the Krups GX5000, has a flat burr for grinding that is far less sharp and of lower quality than the conical burrs of the higher priced Baratza and Breville grinders (see photo comparison above). 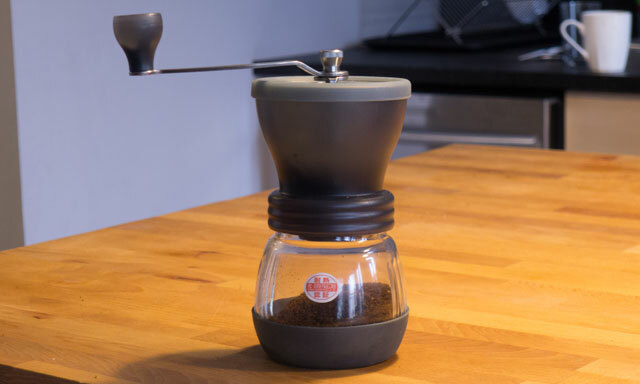 The company’s labeling it as a burr grinder is not without modest controversy, but we didn’t find a dramatic enough difference in grind consistency for us to discount it. To the contrary, it does a solid job of chopping coffee in an acceptably consistent way, the job at hand, after all. It certainly doesn’t compete with high-end burrs, but as we’ll further detail, combined with its other features it all comes together to offer a lot of value in terms of performance and price. On the high end enthusiasts would take into consideration the motor speed and type—some are direct drive while others might have a geared system to reduce speed and increase torque for more power. We think going deep on that level is too persnickety for this level of purchase, but suffice to say that high speed motors can generate static electricity and may be louder, while low speed ones tend to have greater torque and may be quieter but take longer to work. More relevant are convenience-related features. For instance, grinding little brown beans into small particles tend to make an unholy mess, especially when one must transfer them between containers multiple times. 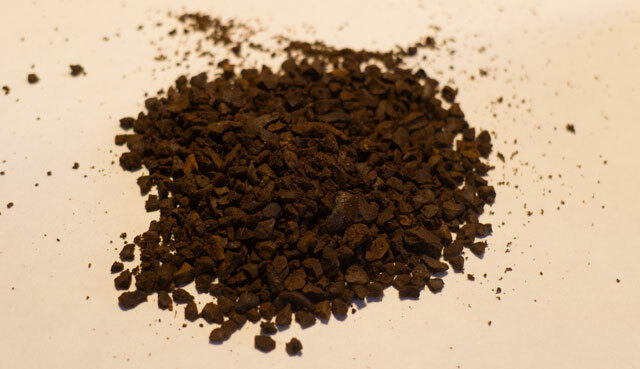 This is compounded when a grinder produces a lot of “fines” or unintentional coffee dust. It goes to superfund levels when the grinder generates a large amount of static electricity that makes the coffee grounds stick to everything, including the hands of the unsuspecting barrista. Another major consideration in a grinder is the ability to adjust the grind size. This is because different types of coffee brewing rely on different sizes of coffee ground. For scale, a typical particle size for a French Press brew is about 1.5mm, while espresso is just .2mm. So if you attempt to use drip-friendly medium sized grounds in an espresso machine you will extract lightly brown water that tastes faintly of wet cardboard. Should you allow espresso grounds to steep in a French press you will end up with a dark, bitter, muddy slush, as well as throbbing heart palpitations. A good grinder allows you to pick from a number of settings so that you can find a grind size that suits your needs, ideally ranging from the ultra-fine espresso up to coarse grinds for cold brew and French press. (One slight caveat is that, should you want a grinder intended exclusively for espresso you’d do best to buy a dedicated espresso grinder.) That said, we will confess we scratched our heads a bit at the over-the-top ability to fine tune the grind settings—one grinder has 60 possible grind levels—and submit there are few people on planet earth blessed with such exquisite sensitivity as to detect the subtleties offered by such a range of minute changes. A grinder with eight or 10 settings should more than suffice. Besides the ability to change grind times, some grinders include a dose selector which may be simply a timer or in higher end models may actually be a built-in scale (none of the models we tested used this method). This feature is attractive for the obvious convenience of being able to hit a button and walk away while it does its thing. It also nullifies a potential vector for accidentally sprinkling grounds everywhere when transferring things to your brewer of choice, i.e., with a pre-measured dose you simply dump one container into another, whereas grinders without a timer require you use a scoop to transfer grounds from one container to another. This sounds petty but grinding coffee can be messy business and any chance to cut a corner is worth exploring. Other considerations we looked for included static-reducing materials, a good-size hopper to hold beans (who wants to fill up every day?) and noise levels, among others: if you’ve ever been woken by the banshee shriek of a loud grinder at dawn, you know the appeal of a more reticent model. Job number one of a grinder is, well, to grind well. That was our first focus and to test the merit of our selected models we set them to a medium grind setting (where possible) and then used a sand shaker to sift and separate three tablespoons of the resulting grounds into five groups based on particle size that roughly correspond with typical grind sizes for different brew types of coffee. 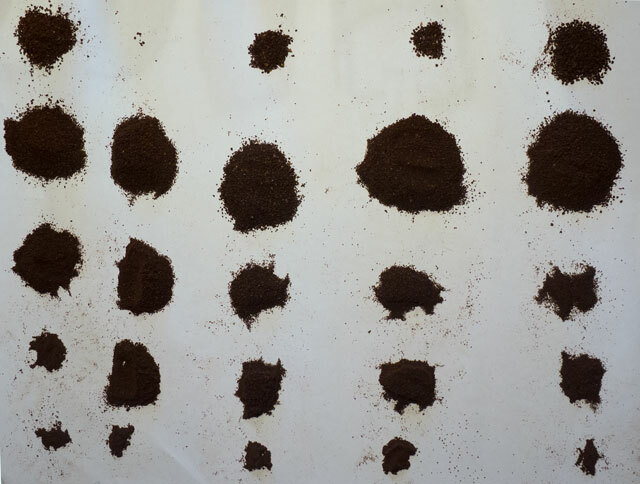 We then compared the results between the various grinders to see if any of them produced particularly consistent (or wildly inconsistent grounds). We repeated this process for a finer grind. In an ideal grind, all of our grounds would be of the same precise size, ensuring that when you brew your Joe all of the grinds are having their precious oils and flavors released at the same rate. That is theoretically and practically not possible in real life, however, especially with a consumer level grinder, and so the hope is to find a model with as large a concentration of grounds of a similar size as possible, with as few random chunks and dusty fines. In performing our tests, we also took note of the machine’s loudness, the ease of inserting and removing beans as well as grounds, the ability to understand and adjust the controls and how much of a mess it was to use the grinder. It is here that we’ll make one instant and easy deduction – that the $20 Krups just couldn’t keep up with the big kids (see below for more). At first we were surprised, in that just a few seconds of grinding the Krups pulverized the beans to dust, and without sounding like a leaf blower. Amazing. But filtering the results revealed the weakness of this model’s skills: Though it produced a large amount of usable drip and smaller grounds, it left a huge pile of random-sized coarse grounds. Further experimenting with this model, because it’s terrifically fun to blast things to bits, made us realize it’s impossible to have any control of what grind is produced. A quick burst of 2 seconds creates loads of grounds. Leave it on 10 seconds and you have dust but also still lots of chunks. Anything in between is a mixed bag. It also got hella dusty, with fines caked all around the inner capsule. Similarly, the Hario hand grinder was an anomaly. It took fiddling to figure out what size we were grinding, but once we got there it still resulted in quite a few coarse particles, though very modest fines. More than that, the physical exercise involved to eke out a single serving was more than we would ever care to muster in the wee hours of the morning. From the left, the grounds belong to Hario, Breville, Baratza, Krups Pro and Krups 203. The Baratza, Breville and Krups Pro all produced similar piles of grinds, with the vast amount in the sweet spot and two smaller piles accounting for perhaps 10 percent of the overall grind. The Breville was the standout, producing literally 5 pieces of coarse grounds, versus a teaspoon or so for both of the others. 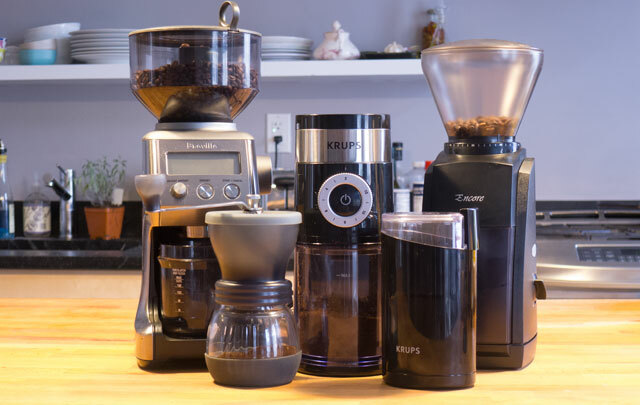 The Krups Pro also produced a fair amount of fines compared with the other models, but overall the three produced grounds that fell within a similar enough size range for the differences to be imperceptible to a typical consumer. Based on our grind tests we were left to pick between feature sets from the remaining test models. And after accounting for convenience factors and price point, the Krups Pro was our winner. 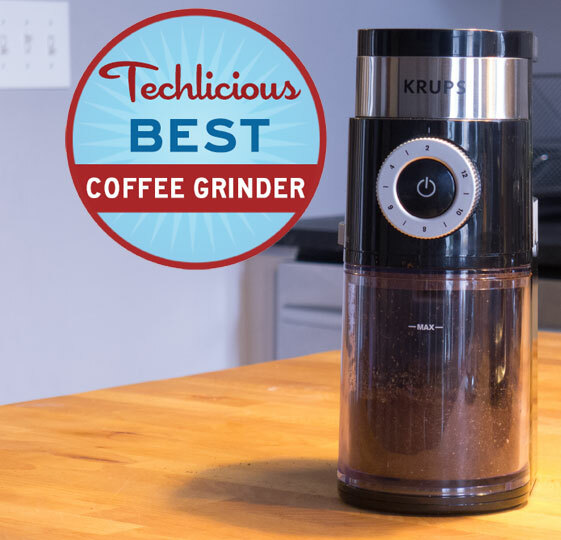 The $50 Krups GX5000 Professional Electric Coffee Burr Grinder is the best grinder for a typical coffee drinker interested in grinding their own beans. It’s extremely easy to use right out of the box with no setup required other than some cleaning of the various removable parts. Adjusting grind size is done easily by rotating a plastic wheel on the side, and it’s well marked to show which direction is more fine or coarse; it has nine man settings plus 5 additional stops in between each for 45 possible settings (which: overkill). On the front is a large power button surrounded by a dose adjustment ring, which you turn to select from two up to 12 doses. A study cover lifts up on the back to access the hopper, which is plenty big but, as with the rest of the machine, is modest enough to fit in nicely on the counter. Sticking up in the center of the hopper is a large stem that holds a cleaning brush but when twisted reveals access to the hybrid grinding burrs we noted above. Unlike other models that have a removable hopper, this one is permanently affixed which complicates cleaning a bit compared with models that have a detachable one, but we had no issues and simply raised the whole unit and dumped it over. The grounds container at the front has a removable top and fits snugly by clicking into place. It has an opening at the rear that allows the chute from the grinding mechanism to dump grounds. It’s generously sized to handle a large amount of grinds, though we wish, nay we pray, that the plastic could be turned into an anti-static breed—the company claims it is but our experience differs. No matter what size of grind the container was filled with fines dust which, glass half full, prevents them from going into our coffee filter but also means we’re frequently rinsing and drying it out. It’s not a deal breaker but is a noteworthy hiccup. 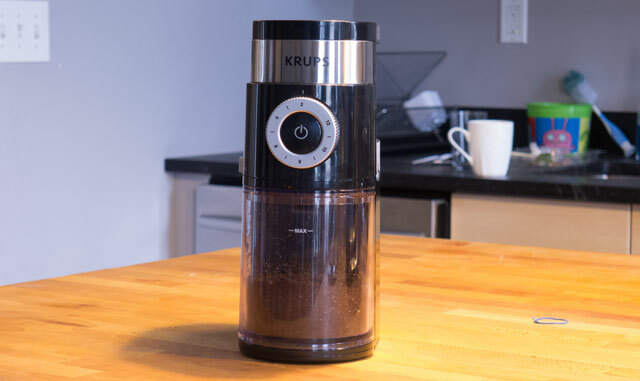 Of all the grinders we tested the Krups Pro was on the loud end, but modestly so, and is perfectly usable at early morning hours without fear of inspiring household wrath. The only long-term concern we have is with the so-called hybrid burrs. We didn’t have issues with them, and so this is likely speculation, but they are so lightweight compared with higher-end models we worry they’ll dull without being replaceable. Still, at this price, it’s worth the risk. For a coffee drinker who wants to up their game without going all-in on a lifestyle change, we think the Krups Pro GX5000 is a terrific buy. It’s nice looking yet low-profile enough to stay out on the counter full time. It’s easy to use every day with minimal fuss for most any brew style, reliably produces a good grind, is easy to clean and is priced cheaply enough that should anything go wrong it’s not a disaster. The Breville Smart Grind Pro ($180 on Amazon) was our favorite machine in almost every way except price—which isn’t to say it’s overpriced, but four times the price of our winning pick. (To put that in perspective, however, it’s very easy to spend several hundred dollars, even a thousand, for high-end consumer-level grinders.) It’s so thoughtfully built that we kept finding new details to admire. For instance, the hopper locks in with a twisting stem in the center. Should you want to remove the hopper to clean or change the beans, unlocking it also closes off the bottom of the hopper so that the beans don’t spill everywhere (we made the mistake of pulling the hopper off the Baratza and a quarter cup of beans fell into the machine’s housing and took 20 minutes of shaking to remove). Similarly, the grounds container has a twist off top with cap that slides into the machine and clicks tight thanks to a magnet at the rear. The body is made of easy-to-clean brushed stainless steel that doesn’t scratch, like many fridges do, and the grounds receptacle clicks in and out easily for cleaning. Unlike other models, the Pro comes with accessories to allow directly placing an espresso portafilter, a paper filter a gold tone filter or the regular grinds container underneath. And not least, the Breville produced the most consistent grind of all the models we tested; it wasn’t a landslide and the Baratza offered near identical results. It’s a terrific machine inside and out, and a worthy buy for higher-end budgets. The Baratza Encore ($129 on Amazon) is renowned as an “entry” level model for budding coffee enthusiasts. It has a powerful motor that isn’t too loud (or is acceptably loud, if that makes sense), a burr assembly that is top quality and heavy duty, 40 grind settings that you alter by twisting the hopper, which is large enough for several days’ beans. It also has an anti-static plastic grounds holder that prevents some mess. It’s a wonderfully made machine and, as a company, Baratza seemingly ranks up there with Apple in terms of fan loyalty. For a typical user, however, we felt that the lack of a built-in timer or scale makes the Encore a tough sell, and while we’re confident it’s the sort of machine you’ll pass down to your grandkids, for most people the set-it and forget-it simplicity of the Krups makes it a better buy. We think the hive mind that write Amazon user reviews is a great place to start, and indeed the Krups GX5000 Professional Electric Coffee Burr Grinder is the best seller in Burr Coffee Grinders earning it a 4.4 out of 5 stars. The pros at houseofbaristas.com also loved the value of the GX5000, saying it’s “a machine that provides the perfect combination of luxury, performance, and style, all at a very affordable price.” The review site cofeebeangrinderplus.com tests a wide range of machines and similarly good things to say about the Krups, which they dub “one of the best burr coffee grinders available on the market,” and rates it a 9.33/10. And finally About Home gave it four stars, applauding its performance and ability to keep the counter clean when grinding, unlike many other models. Echoing our findings, most all of these sites recognized that higher-priced models from Baratza and Breville, as well as Capresso and other companies, offer more “perfect” grinding performance, especially for espresso, however as an all-in-one unit at a terrific price it’s unbeatable. 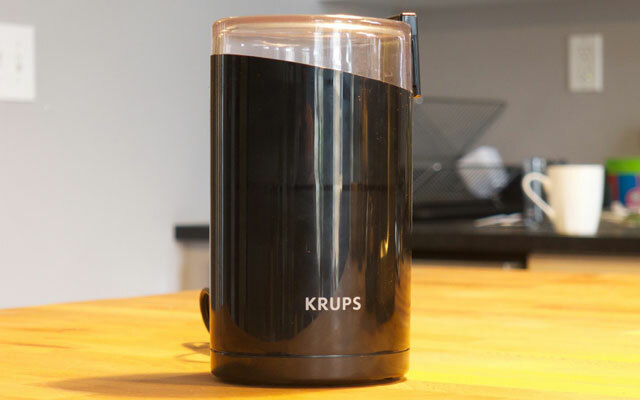 The Krups GX5000 Professional Electric Coffee Burr Grinder ($42 on Amazon) is a terrific buy for anyone interested in grinding their own coffee beans for most any brew style, with as little mess or fuss as possible—and without paying several hundred dollars. While it doesn’t match the performance of most higher priced models, it grinds perfectly well enough for a typical consumer, and has a number of convenient features that make it an exceptionally great value. Unless you only drink espresso or are a fanatical coffee devotee, you’ll be very satisfied with it. Really good information about Home Grinder. Find the best coffee grinder in my kitchen. The Krups you recommend only got 3.5 stars and recently many reviewers have some bad things to say about the unit. You didn’t even bother to review the cuisinart which is only a little bit more and looks much more professional then the krups and got much better reviews. The Krups we recommend gets 4.3 stars on Amazon from almost 10,000 reviews - not 3.5 stars. If you share the model of the Cuisinart you’re referring to in the comments, we’d be happy to explain why it wasn’t among those we tested. the Sette might also be interesting to add to this review.